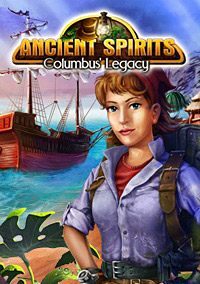 Ancient Spirits: Columbus' Legacy is an adventure game enriched with puzzles of the "hidden objects" type, for which the German Cerasus Media studio is responsible. Ancient Spirits: Columbus' Legacy is a proposal of the development team of the German studio Cerasus Media addressed to lovers of ghosts and fans of games of the kind of "hidden objects". The action of the game was set in 1953. At the shore of an abandoned fishing village, a 15th century galleon unexpectedly appears. Sailing ship, which was a lost flagship in the fleet of Christopher Columbus, arouses great sensation in the world of archaeologists. Legend has it that a curse hangs above the ship. To top it all, scientists who undertake to investigate the individual die in mysterious circumstances. An unforgettable threat Professor MacNamara decides to uncover a secret from the past, but he also dies. His assistant, Virginia Carter, wants to solve the mystery of her superior's death. The player who directs Virginia's actions has to deal with dozens of hidden object puzzles. (hidden objects). When visiting successive locations, it is necessary to find the indicated items within the set time limit. The fact that they are often perfectly integrated into the environment, and thus difficult to notice, makes it difficult to play with. The game is distinguished from other competing products by the use of an unusual mechanism of looking around. The image can be scrolled (moved horizontally), which in many cases makes it easier to see hidden objects. Ancient Spirits: Columbus' Legacy is characterized by a simple but aesthetically produced visual setting. 2D graphics are based on manually drawn backgrounds. The atmosphere of mystery is emphasized by the atmospheric soundtrack.